143 Bn CRPF is organising Interschool football tournament of District Noney from today till September 20. DIG CRPF and Mr Kanan Kamei President Rongmaei Naga Manipur state. A colourful function was held today in the open ground of Noney. In the tournament all 10 teams @ 15 sports dress per team × 150 sports dress had been distributed to participating players. Besides above , all teams will be given football and football net, Winners Trophy , runners up trophy , medals to all winners n runners up. Special gift of Rs 10,000/ to winners and Rs 5000/_ to runners up team. All teams will be given refreshment daily. Motto_ to spread awareness about games and Importance in their life. To teach them team work n capacity building. All media brothers are requested to give wide publicity. Nitu will open India's go-for-gold campaign in the ongoing AIBA Women's and Men's World Championships at Budapest on Wednesday evening, as three other pugilists--Anamika, Sakshi and Manisha--will join the chorus later tonight in the Hungarian capital. Of the 10 girls competing here, eight of them managed to make it to the semi-finals in a record-breaking feat and four among them further crossed the hurdle with a fantastic showing in the rings late last night. The first one to make the final cut was Nitu, who defeated the hard-punching Anel Kudaibergen of Kazakshtan in the lightfly category (45-48 kg) to get a 3:2 split verdict from the five judges. The Indian led, despite punching and inching her way, the judges verdicts kept fluctuating. But Nitua was holding a slender advantage which she held on gamely until the bell rang, thanks to her tenacity. The 2017 World Championship Gold medallist, making to a successive final, takes on Thailand's Nillada Meekoon in the final. 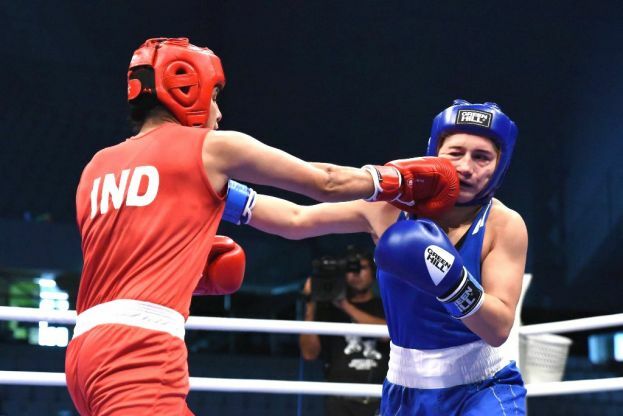 Anamika, on the other hand, proved too hot for her Thai rival, Kittiya Nampai in flyweight class (51 kg) as the Indian outpunched round after round to emerge a clear winner on points (5:0). Anamika, who will clash with one of the most talked youth boxer, American Heaven Destiny Garcia in the gold showdown, was severe begin with against the Thai who was left guarding herself for most of the time. Anamika, with an open guard, invited her opponent but Nampai was content not to get KO verdict. 2017 Gold medallist at the world championship, Sakshi, too, had an easy semi-final bout in the featherweight class of 57 kg against Isamary Aquino of USA. As the bout opened, both pugilists were taking their own time to trade off punches. With a few jabs and hooks, Sakshi tried to open the American's close guard and even landed a couple of punches, including an uppercut which gave her points and substantial lead in the first round. The Indian decided to go all out and added to her points tally before the final bell and won the bout 5:0. She will meet Nikolina Cacic of Croatia in the final. In the adjacent B ring, a little latter, Manisha crossed swords with Veronika Villas of Hungary, a promising boxer. With the local crowd rooting for the Hungrian, it looked Manisha would have a torrid time but the Indian brushed aside the pressure and landed some combination punches to wrap the bout with a 4:1 verdict in her favour. The Asian Youth Champion will take on Gemma Paige Richardson from England in the final. Earlier, Astha Pahwa, who has a bronze under her belt from the 2017 world meet at home, could not resist French girl Tallya Brillaux who won on points (5:0). Jony, too, lost her lightweight (60 kg) bout to Nune Asatrian with a similar 5:0 verdict and both the pugilists had to settle for a bronze medal. The verdicts against Sakshi Umesh in light heavy (81) and Neha Yadav in heavy (+81) was no different as the Indians logged no points on the scoreboard during the entire duration of their bouts with their opponents scoring 5:0 points to leave the Indians content with the bronze medals. Yesterday, both Bhavesh Kattimani (53 Kg) and Ankit (60 kg) had ended with bronze medals after losing in the semi-finals in the Youth boys’ category. 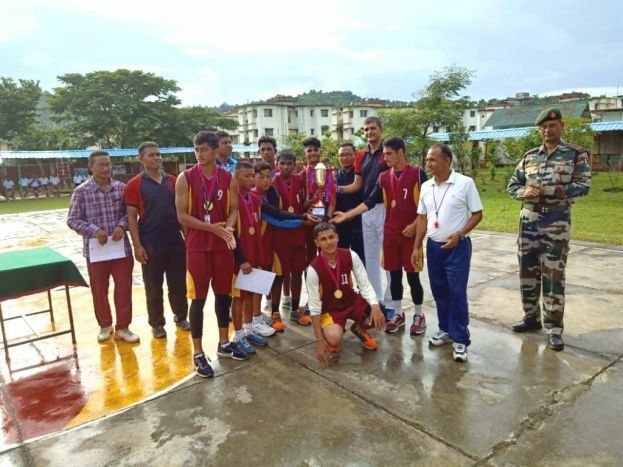 Mantripukhri battalion of HQ IGAR (South) conducted Inter School Basketball Competition as a part of Annual Sports tournament for the year 2018-19 at the Assam Rifles Public School, Mantripukhri, from 21st – 23rd August. 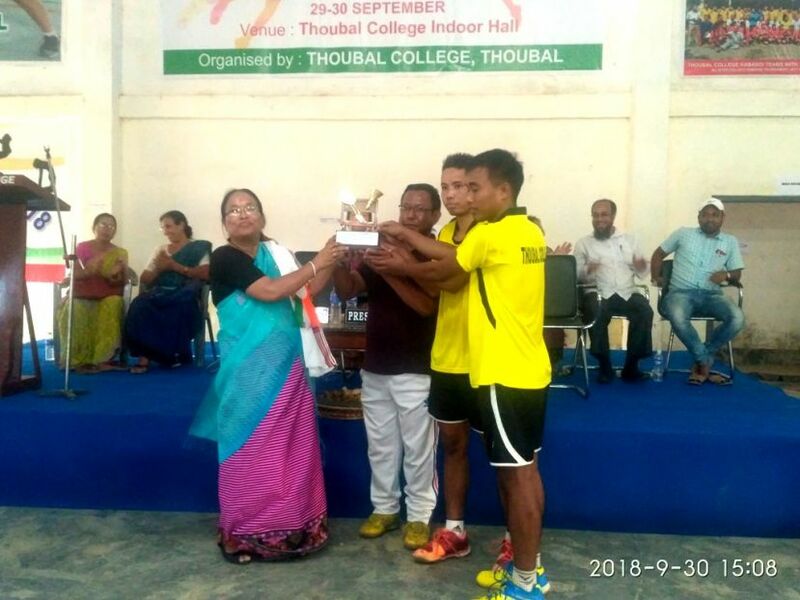 A total of seven Assam Rifles Public Schools under IGAR (South) participated in the said competition to include schools from Mantripukhri, Keithelmanbi, Jwalamukhi, Maram, Pallel, Thoubal and Kakching. The event commenced with a motivational inaugural speech by the Vice-Chairman, ARPS, Mantripukhri to all young participants. The competition started with league matches in which all teams displayed great skills and team spirit to excel. ARPS, Mantripukhri with better co-ordination, skill level and stamina outclassed their counterparts and lifted the winning trophy defeating ARPS, Pallel in the finals. Players and Team Captains appreciated the smooth conduct of matches in terms of providing better facilities in terms of basketball court, experienced referees and transparency in conduct of the matches. Winning team will now represent IGAR (S) at DGAR Inter School Basketball Competition scheduled from 27th -31st August at Dimapur. 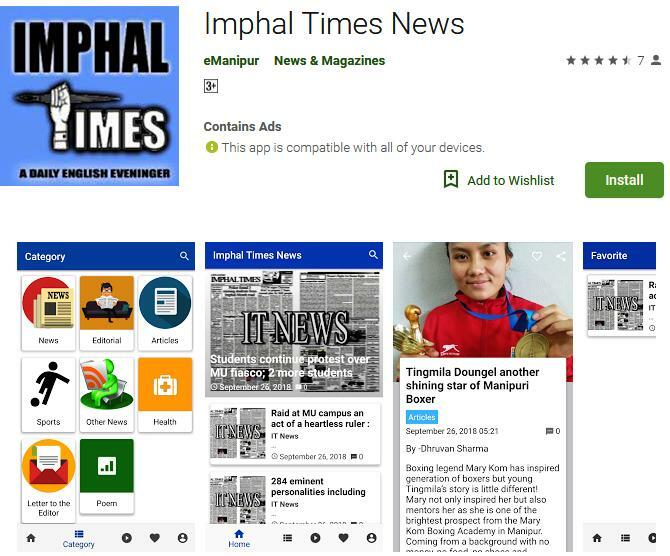 With due respect, I beg to draw the attention of the Honourable Minister of Water Resources, Government of Manipur regarding the slow progress of the repairing of riverbank at the eastern side of Imphal River at Singjamei Torban Kshetri Leikai in Imphal East District (Khangembam Mapa). The piling and construction of retaining wall at this point (around 50 metres) have been going on now for the past couple of months. This point of river bank is in a very dangerous condition as far as the recurrent flood on Imphal River is concerned. Frequent floods on Imphal River have caused tremendous hardships to the local people, more than once in the past few months. Still flood may come anytime and the unfinished works will surely be a panic to the local people. If there be any breach of the river bank at this point, the whole people of Torban Kshetri Leikai, Khongman and even Bashikhong will suffer like anything. running the kite in the horizon. flickers vigorous dreams for us. for lighting the flame again. As of now, the world knows that India had forcefully annexed Nagas and all its land into the union of India. Many right thinking individual, human justices, intellectuals and freedom fighters of India had been propounded. 1. When Naga club led by Eno. AZ. Phizo met Subhas Chandra Bose the then Indian National Army (INA) founder and leader, they deeply and seriously discussed upon the Naga Sovereignty the Naga club expressed varied problems of their struggles before Subhas Chandra Bose. The brave man said that you Naga would get freedom when I got it. When I got freedom today you Naga would have tomorrow and when I got freedom in the morning you Naga would get freedom in the evening. 2. Father of the Nation, Gandhiji said to the Naga delegation that Nagas have every right to be independence. 3. Former Prime Minister Pt. Jawahalal Nehru wrote a letter to Assam C.M. R.R. Medhi on 13th May 1956. I feel that we have not dealt with this question of Naga with wisdom in the past. We must not judge them as we would judge others who are undoubted a part of India. The Nagas have not such background or sensation. 4. Sir, Rajagopalachari, the first Governor-General of free India assured on 11 members of Naga delegation in Shillong on 28th Nov. 1949. India wants to deprive the land of Nagas, Nagas are at liberty to do as they like, either to become a part of India or be separated if it would be best for their interest to be isolated. 1. India says all Nagas are Indian citizens but we do not accept what India says. 2. The Naga peoples are unquestionably a nation. 3. You can lives as a nation and preserve integrity. 4. The kind of relationship between India and Naga may be negotiated. In the context of Manipur state, the Naga and Meitei had a different/separate administrative system before 1949 merger agreement. Sir, Robert Reid, a Political Agent posted for Naga Hills in Manipur during fag-end of the British rule. Sir Robert Reid said; The Nagas are not Indian in any sense of the word neither in origin, nor in habit nor in language, nor in appearance, nor in outlook, they can have whatever they wish from the union of India. They can lives as a genuine good nation. The merger agreement 1949 brought change Naga Hills into one administrative roof with Manipuri Valley people who were far advanced and well developed. However the central government identified Naga clearly as scheduled tribe of Manipur state. They are recognised as the weaker group/society than to those amidst the communities they are living together, India knows Naga tribal’s are fragile, insecure, who are in need of protection, they cannot live by themselves. Therefore the Indian constitution has given a certain opportunities to the society and to individuals to safeguard them. Now, the bottom line of this article is, by a slight inhuman judgement of India to the Naga Frame Work Agreement, the southern Naga people, the tribal in Manipur are going to be ruined in the midst of those who are well to do and advanced society they are living together. As in social category the Meitei/Meetei are the general category, they are the scheduled cast, they are the other backward classes besides they are going to become a scheduled tribe category. Nagas are subjugating, strangulating, suppressing and intention toward assimilation. There is no provision to safeguard for the Nagas minorities and other tribal’s of Manipur state. Demanding, proposals and suggestion of the hills people are completely turn down time and again. 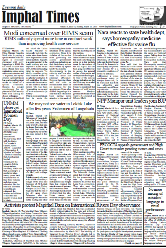 No Six Schedule, No Alternative Arrangement, No Territorial Council, No Supra State, No Naga Cultural Body, No Financial Autonomy, No Naga Pan Hoho, No Naga Integration, No Naga Article 371 (A) instead of many proposals and rightful demanding, the Naga lands are split into pieces by creation of Seven Districts. The cruel and bias thought, the bitter feelings, the barbarous manner, jealousy and merciless mindset towards the hill people that can never be compromised and reconciled with the communal, bias majority of the valley peoples. We the Naga people and valley Meitei have been presumed each other to be a mysterious brothers. But our real brother or clan in Naga blood are those who live in a contiguous Nagalims across the states and abroad the country like Myanmar (AVA). We the Naga are the real brethren, dirt on the body can clean with soap and water but blood can never be washed away, as thus the Nagas brethren can never be separated now and forever more. The Manipur valley people are claiming that they are indigenous people, if it is so they should know and well understand about the contents and perspectives of indigenous Rights. “UN DECLARATION THE RIGHTS OF INDIGENOUS PEOPLES” are laid down as many as forty six (46) Articles. Here I would like to write down a few Articles, not in serial. (a) Indigenous peoples have the right of self determination. (b) By virtue of that right they freely determine their political status and freely pursue their economics, social and cultural development. (c) Indigenous peoples have the right to maintain and strengthen their distinct political, economics social and cultural characteristics as well as their legal systems, while retaining their rights to participate fully, if they so choose, in the political, economic, social and cultural life of the state. (d) Indigenous peoples have the collective right and individual not to be subjected to any action which has the aim or effect of depriving them of their integrity as distinct peoples or of their cultural values or ethnic identities. Any action which has the aim or effect of dispossessing them of their lands and Territories. (e) Any form of assimilation or integration by other cultures or ways of life imposed on them by legislative administrative or other measures. (f) So in conclusion but not the least why Manipur valley indigenous peoples, the larger the mightier people should force upon the minority and weaker indigenous Naga people of Manipur to be settled with them which Naga people are tired and no longer the might to bear with them. 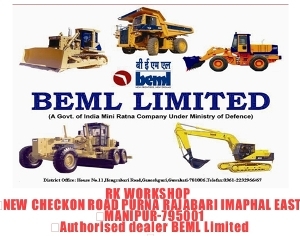 Manipuri people, the valley people must be carefully considered, deliberate at this juncture. If these people could not understand or ignore all these rights, they are not deserved to be included in U.N. Declaration Indigenous People Rights. Naga had declared Independence on 14th August 1947 one day ahead of the India Independence 15TH August 1947. AZ Phizo informed this happy news to all the Naga tribes, He came at Ukhrul personally and said, we have got Freedom, and we are free now. Building an arcade to nourish Fallen dream is an unanswered question. Blackish deeds in the heart of darkness. You’re a soft smooth shush, full of lyrical tranquility! And sad and feeble and poor and heartbroken! You’re magical serene peaceful compost! You’re shadow to wholly, still you’re quite utterly. I pay you alluring pleasant, heavenly pleasing so rich! Still I hear yeah! All is good feeling thy about rich. I asked thou too many shield questions? You’re the supreme answer to wholly unconditional emotions! Still I hear you unreserved. Still I hear you and let it be and let it go.